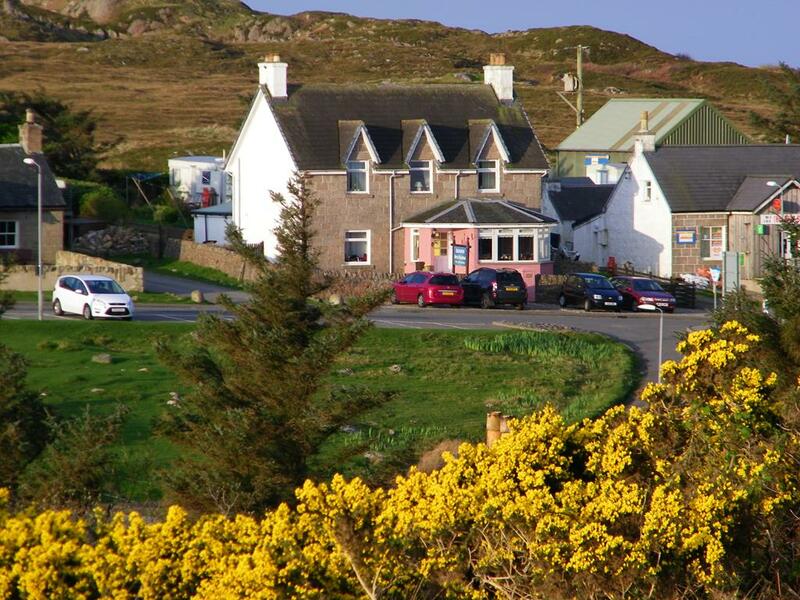 Our Hospitality at Seaview B and B on your holiday to Magical Mull,Spectacular Staffa and Spiritual Iona. John is a west coast islander and hails from Rothesay on the Isle of Bute, a small island off the west coast of Scotland in the Firth of Clyde. 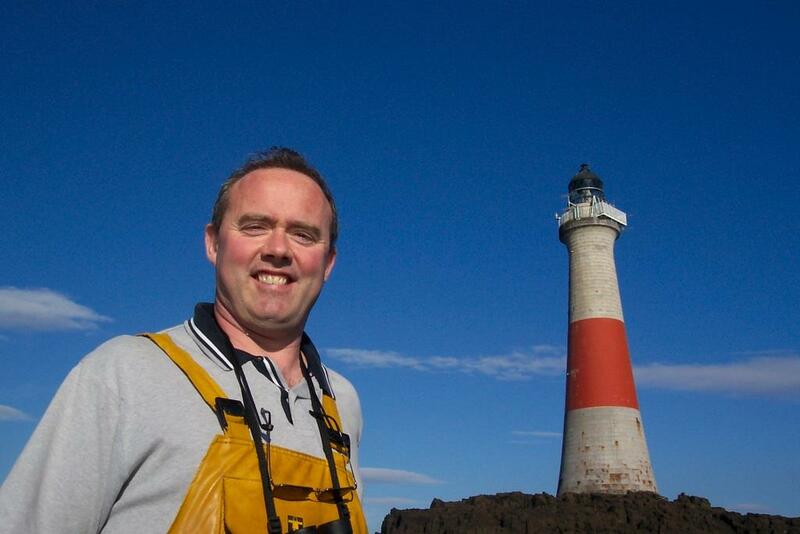 After catering college and working in the hotel and hospitality industry for several years on the mainland, John returned to the west coast and decided to follow his yearning for fishing and the sea. 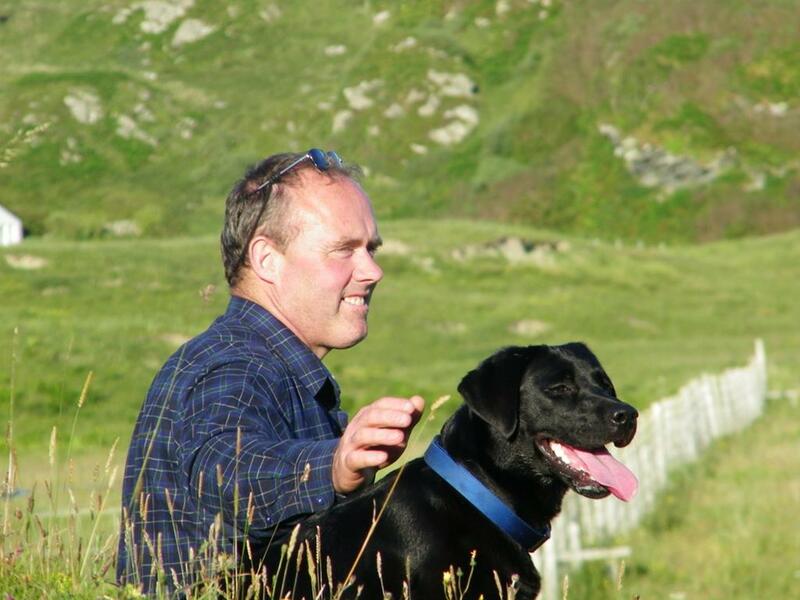 John moved to the Isle of Mull in 1989 and started work as a commercial fisherman learning the art and skill of catching crabs and lobsters from a Bedfordshire man with a doctorate in geology! After skippering the big boat for Peter for a wee while, John started out on his own and bought his own small Orkney Fastliner called the 'Wanderer' which he used to catch 'velvets' (crabs) and lobsters. 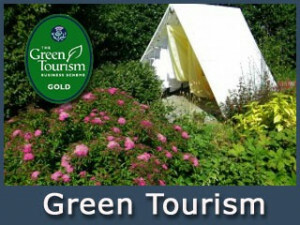 look after the accommodation at Seaview. 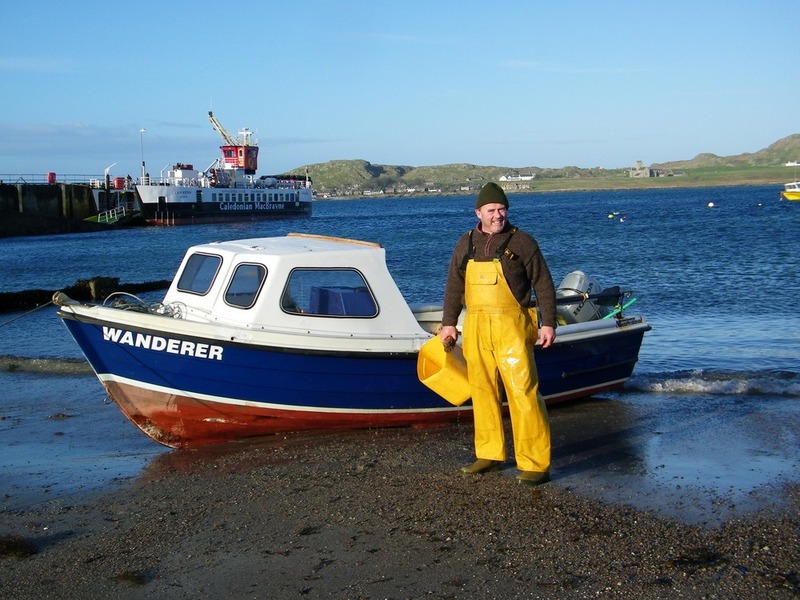 John's affinity with the sea has meant that 'Wanderer' remains a 'pleasure' boat and he spends many hours pottering around the rocky coastline enjoying the coves, and beaches whenever he can with his loyal First Mate Megan and her daughter Lainie who was born at Seaview in October 2010. 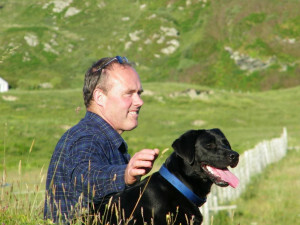 John loves walking, his dogs, photography, sea food, good wine, football, rugby, home brew and is partial to a fine wee dram of malt whisky.....................John that is, not the dogs! 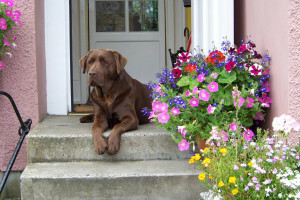 This is Megan, aka Kenmilleven Melting Wispa and is Seaview's official 'Meeter & Greeter'. Megan is a local lass, born in August 2007 on the Isle of Iona. Her mum is Jura (also a chocolate Labrador) who lives over on the west side of Iona on the road to the golf course; Sidney, Megan's dad used to live at The Columba Hotel with Megan's sister Peggy, but now lives in Sydney, down under. 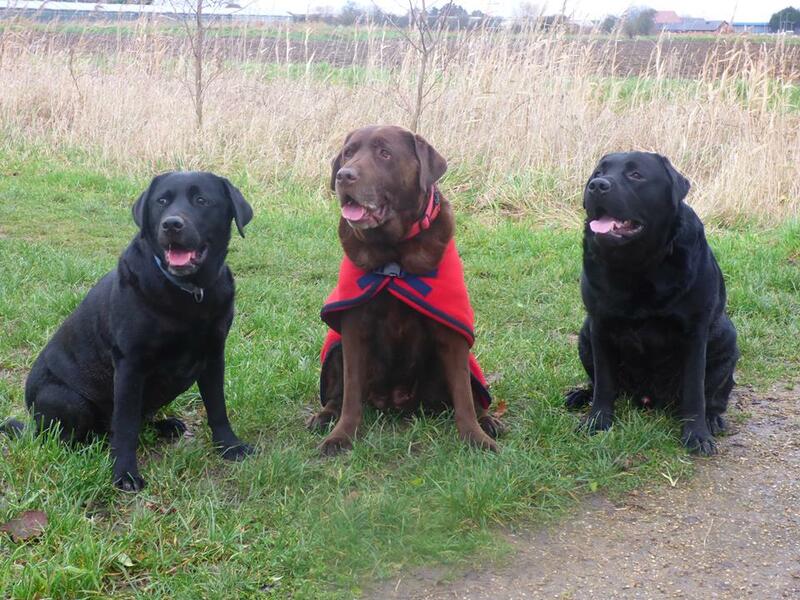 Both of Megan's parents are chocolate Labradors and so were all her litter mates - pure chocolate heaven! Megan's favourite pastimes include people watching - you'll often see her on the front porch watching the comings and goings in the village; doing impressions of a big sad teddy bear, looking cute especially if she is on the lookout for a wee biscuit; sun bathing, walking, hunting, catching voles and mice, paddling in the sea, flushing the bracken, doing impressions of Teenage Ninja Turtles, eating 'dead' things she finds on the moors (she's not so cute then, stinky girl), going to sea with John in his wee boat Wanderer, snoring like a piggy whilst snoozing, and doing 'bum tuck' runs around the front garden. 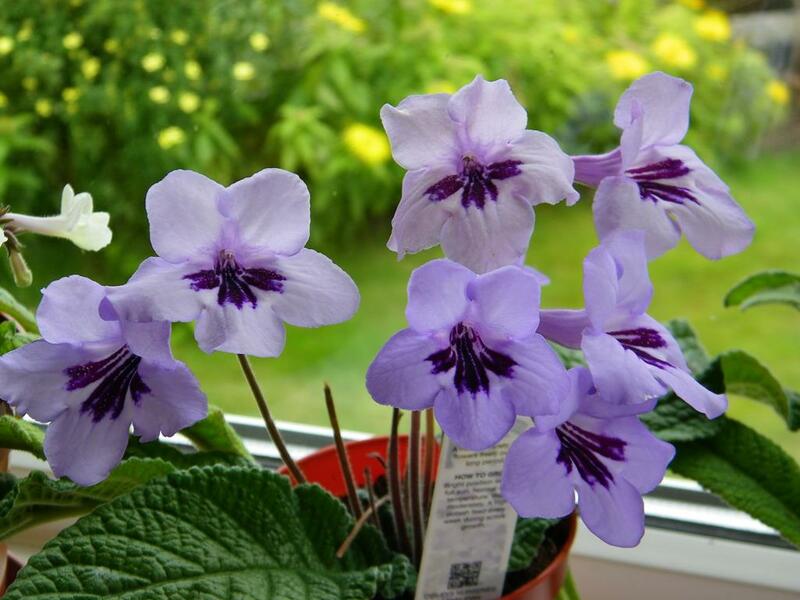 She also loves 'dancing round her handbag' (rawhide chews) in the garden. Megan loves people and is an affectionate and loving dog with oodles of patience. She has us, as her owners very well trained indeed. Introducing Lainie: On 1 October 2010, Megan had her first (and only) litter of pups at Seaview - seven beautiful chocolate and black puddings (3 chocolate boys, one black boy and three black girls). 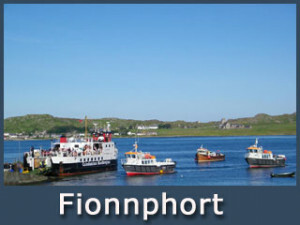 The pups are scattered across Scotland from Benbecula in the Outer Hebrides to Edinburgh. 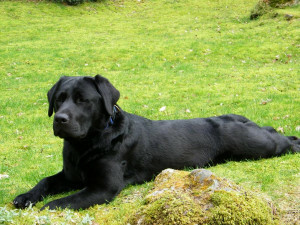 Our only black boy, Jock the Laddie went south over the border to join his new family in Nottinghamshire. We kept one of the black girls Seakingdom Lassie of Mull who is called Lainie (which is Scottish Celtic 'To serve John'). Lainie is black and has white fur underneath three of her paws. She is a wee besom and quite a character but great fun. She learns quickly and joins Megan on 'meet and greet' duties. Her natural retrieving instincts means she brings us many surprise gifts during the day, including socks, underwear, tea towels, cardboard boxes, shoes, plastic bottles to name but a few. She can spin on a top and is very adept at hunting mice, voles, rabbits and hares! We hope you'll enjoy meeting them both during your stay with us at Seaview bed and Breakfast- they will make you very welcome and love their cuddles and often stand in as substitutes for guests who are travelling without their dogs.